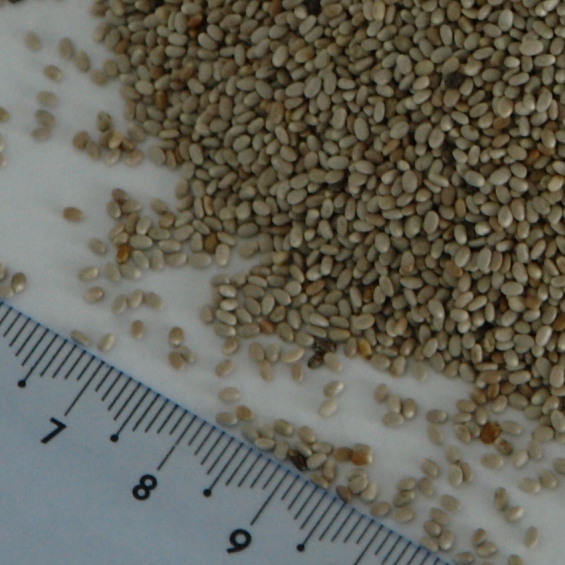 Chia is an annual herb plant growing up to 1m tall. It has attractive purple or white flowers. The flowers spike up to 10cm long, set on terminal stems, and fill out to a seed head (that is similar in appearance to a wheat seed head) with pin-head sized, brown, shiny chia seeds. Plants adapt to a wide range of soils, climates and minimal rainfall. 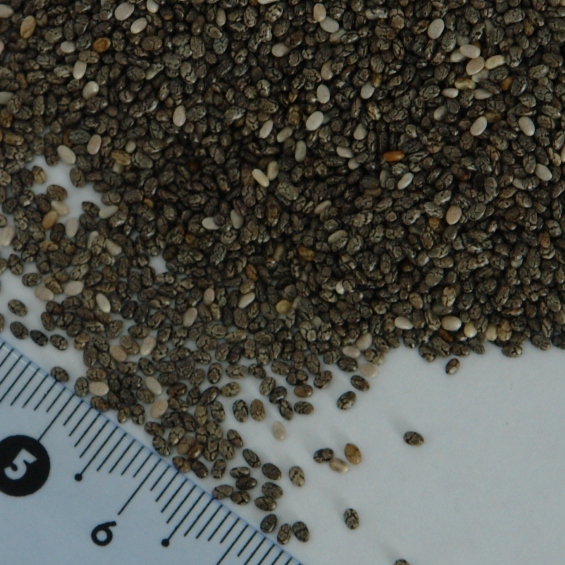 Chia seeds are typically small ovals with a diameter of about 1mm (0.039in). They are mottle-colored with brown, gray, black and white. Its health benefits are well documented. The seeds contain one of the highest known sources of Essential Fatty Acids (EFA), as linolenic acid (LNA) 30-60%, and linoleic acid (LA) 30%. EFAs are the highest source of energy in nutrition and govern many life processes in the body. The mucilaginous properties of the seeds have a swelling action, similar to guar or psyllium as a bulking agent and fibre source. 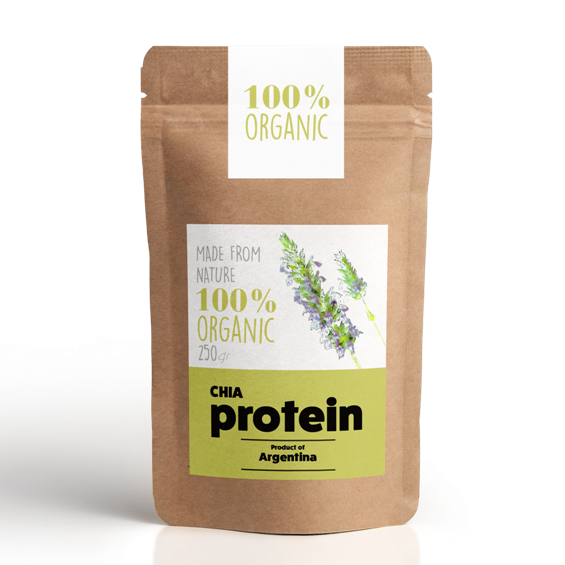 Chia has a calcium content 5 times that of milk. 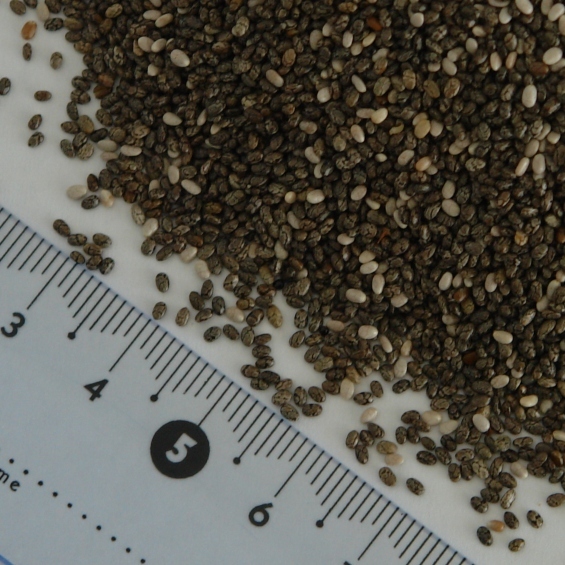 Risks: Chia has a high risk of damage from humidity during shipping. 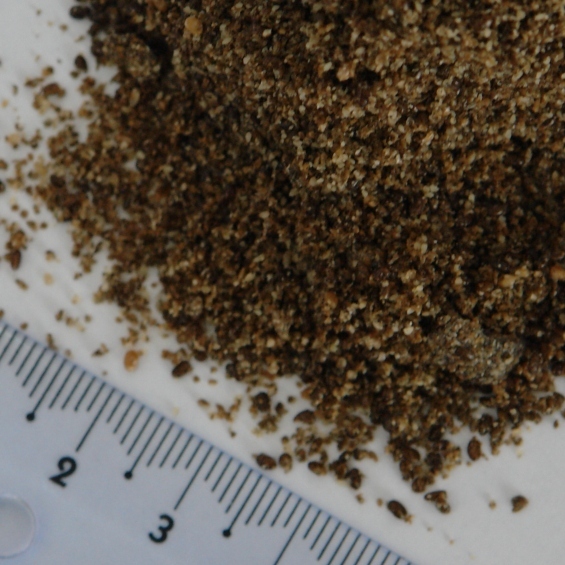 Appearance: Round, small dark, black, dark brown seeds approx 1.5mm -2.0mm round. Taste: Typical of Chia, fresh, no off flavours. 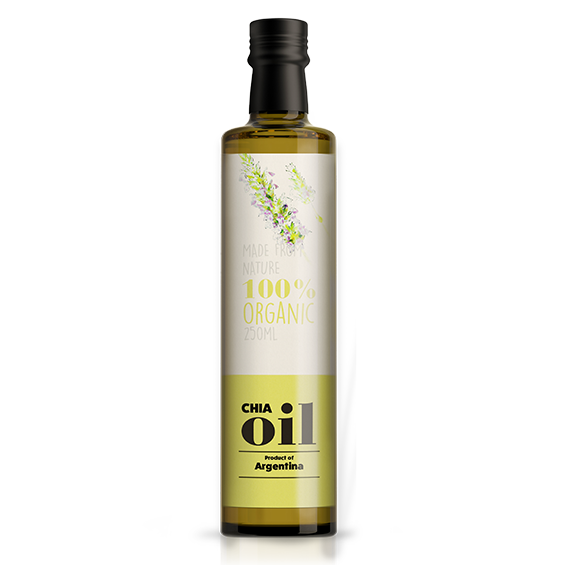 Omega 3 oils 17.5% of total oils above. Shelf Life: 12 months from date of delivery, stored in air cooled, brick built warehouse with appropriate vermin controls in place.